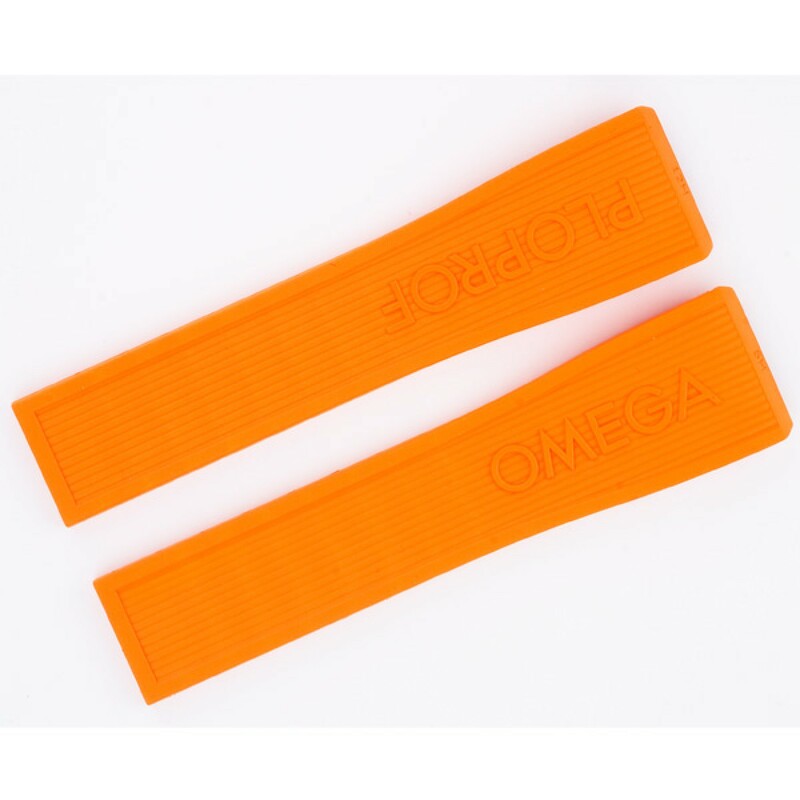 Omega PLOPROF orange rubber strap (24x20). 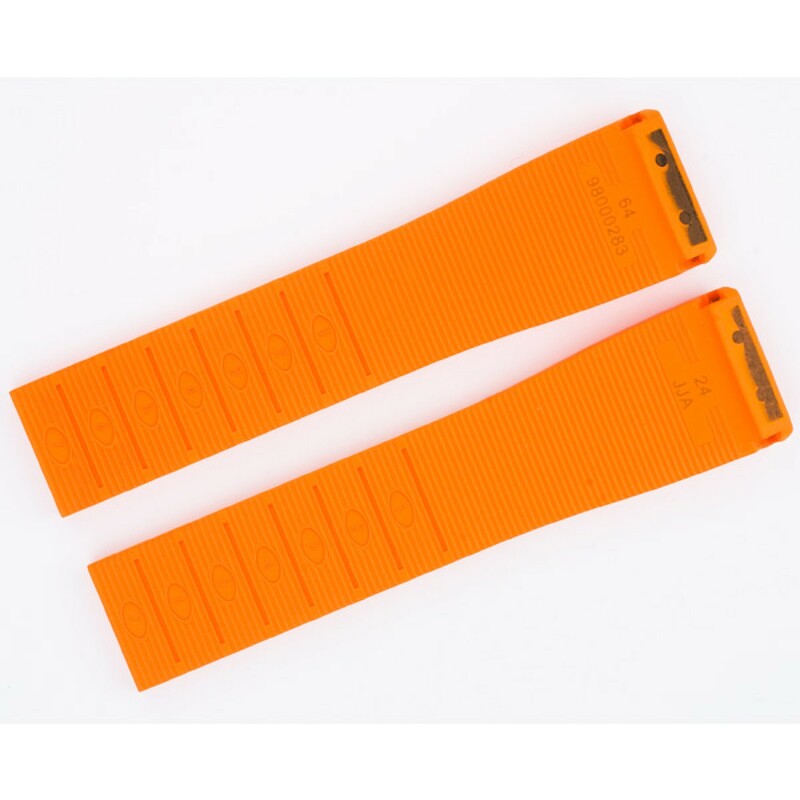 With a length of 4" both pieces. 24mm width at lug and 20mm at buckle end.